Standard Deduction for Dependents. A taxpayer who can be claimed as a dependent is generally limited to a smaller standard deduction, for 2018 returns will be $1,050. The additional standard deduction for a blind taxpayer and for a taxpayer who is age 65 or older at the end of the year is: $1,300 for married individuals; and $1,600 for singles and heads of household. Filing Requirements. 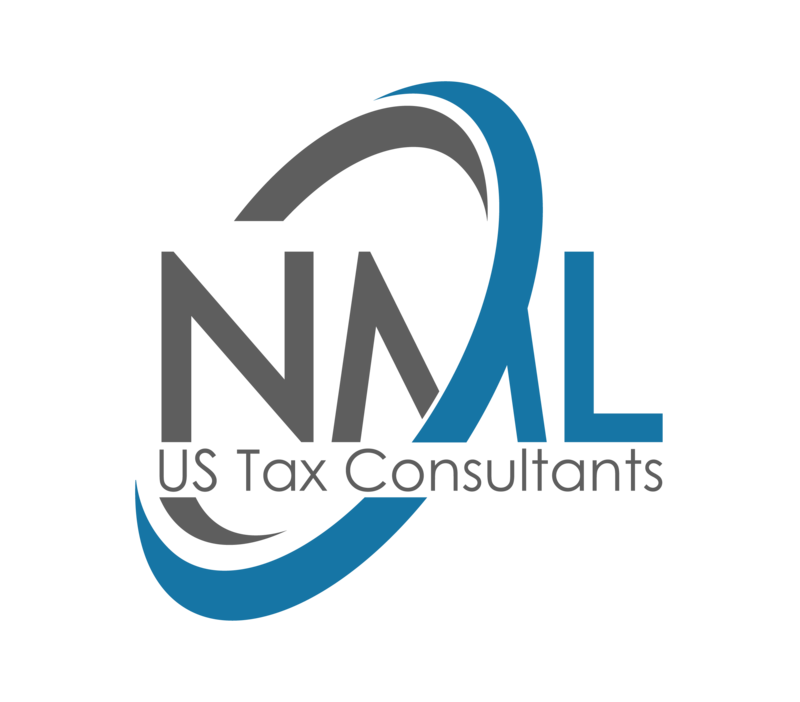 The income thresholds at which taxpayers are required to file a federal income tax return has traditionally been determined as the sum of the standard deduction and the applicable personal exemption. However, for the 2019 tax filing season (2018 tax year), the standard deduction has been increased and the personal exemption has been eliminated by being reduced to zero. Under TCJA, alimony payments will no longer be tax-deductible to the payer or includible in the income of the recipient if made under a divorce or separation agreement entered into after December 31, 2018. Under the TCJA, both the taxpayer’s moving expense deduction and the exclusion of an employer’s reimbursement or payment of the taxpayer’s moving expenses have been suspended except for military relocation. Accordingly, any non-military moving expense reimbursement made by an employer is taxable as income to the employee. Taxpayers may rollover funds in a traditional IRA to a Roth IRA in a rollover contribution (=conversion). No premature distribution penalty for an early distribution from the traditional IRA would apply. Sometimes taxpayers who converted their IRAs changed their minds and wished to reverse the conversion (=recharacterization). The TCJA has eliminated recharacterization of Roth conversions for any Roth conversion made after December 31, 2017. Entertainment Expenses Prior tax law permitted a taxpayer to deduct expenses for entertainment, amusement or recreation provided that it was directly related to the taxpayer’s trade or business. The TCJA amends that provision and disallows a deduction for expenses incurred by a taxpayer after December 31, 2017 and before January 1, 2026, despite being directly related to the taxpayer’s trade or business. Food and Beverage Expenses. Taxpayers are generally permitted to deduct 50% of the expenses for food and beverages paid or incurred in conducting their trade or business as well as the expenses for food and beverages provided by the taxpayer on the taxpayer’s premises primarily for employees. However, the 50% limitation on the deduction of an employer’s food and beverage expenses does not apply to any expenses if some conditions apply. Section 179 Expense Limits. The TCJA has increased the amount a business is permitted to expense rather than depreciate and made further enhancements under Code Section 179 with respect to section 179 property the taxpayer places in service in tax years beginning after December 31, 2017. Under the TCJA, the dollar limitation on the value of property that may be expensed in the year in which it is placed in service is increased from $500,000 to $1,000,000; the phaseout threshold for a taxpayer’s ability to expense eligible property is increased from $2,000,000 to $2,500,000; the definition of Code Section 179 property is expanded to include o depreciable tangible personal property used principally to furnish lodging. First-year bonus depreciation. Prior tax law permitted businesses to take a tax deduction equal to 50% of qualified properties adjusted basis. In addition, under prior tax law, the bonus depreciation arrangement was scheduled to end for qualified property purchased and placed in service before January 1, 2020. The TCJA both extended bonus depreciation and increased it. Under the enhanced bonus depreciation provisions of the TCJA, a business may take a 100% first year deduction equal to the adjusted basis of qualified property purchased and placed in service after September 27, 2017 and before January 1, 2023. The 100% expensing permitted under the TCJA declines by 20% each year for qualified property purchased and placed in service after December 31, 2022. The bonus depreciation under the TCJA ends after 2026. Luxury Auto Limits. The TCJA increased the luxury auto depreciation limits. The maximum amount of depreciation that will be taken from 2018 in which the vehicle has been placed in service in a trade or business will be $10,000, the second year $16,000, the third $9,600 and the forth and later years $5,760. A “luxury vehicle” is a four-wheeled vehicle regardless the cost of the vehicle, used mostly on public roads, and which has an unloaded gross weight of no more than 6,000 pounds. It includes vehicles not normally considered “luxury” vehicles. Listed Property Updates The term “listed property,” as used in tax law, is personal property used in a business which can also be used for personal purposes. Because listed property can have application for both personal and business uses, a taxpayer taking a tax deduction as a business expense must have enough evidence to prove the property’s use in the business and the amount/date of the expense. Computers and related peripheral equipment are no longer considered listed property. The TCJA has affected various Schedule A itemized deductions. Medical Expense AGI Threshold. The medical and dental expense deduction is subject to an AGI threshold, and only unreimbursed medical and dental expenses that exceed the threshold may be deducted. In 2013, the AGI threshold applicable to deductible medical and dental expenses was increased from 7.5% of AGI—a level at which it had been since 1986—to 10% of AGI. The increase in the AGI threshold from 7.5% to 10% was waived for taxpayers age 65 or older until January 1, 2017. Effective January 1, 2017, the 10% AGI threshold applicable to unreimbursed medical and dental expenses was scheduled to apply to all taxpayers. The TCJA reduced the applicable threshold for the deduction of unreimbursed medical and dental expenses to 7.5% of AGI for the years 2017 and 2018. Beginning in 2019, the applicable AGI threshold—above which a taxpayer may deduct unreimbursed medical and dental expenses—will be 10% for all taxpayers regardless of age. State and Local Tax Deductions. State and local taxes paid by an itemizing taxpayer have generally been a deductible item on the taxpayer’s federal income tax return without limit. The TCJA limits the federal income tax deduction for state and local taxes to $10,000 ($5,000 for married taxpayers filing separately) beginning in 2018. Interest paid on acquisition debt incurred on or before December 15, 2017 is limited to interest paid on acquisition indebtedness of $1,000,000 or less ($500,000 or less if married filing separately). An exception to the new mortgage rules may apply to written binding contracts to purchase a residence entered before December 15, 2017. A 20% limit that applies to all contributions of capital gain property to or for the use of qualified organizations that are not 50% limit organizations. 60% AGI Limit for Cash Contributions. The TCJA increases the limit on a taxpayer’s deductible charitable cash contributions to 60% of the taxpayer’s contribution base for qualified organizations to which the 50% limit normally applies. The increased limitation for cash contributions applies to contributions made in any taxable year beginning after December 31, 2017 and before January 1, 2026. Deduction for Athletic Tickets. The TCJA has changed the deduction by eliminating that provision. Under the TCJA, no deduction is permitted for a payment made after December 31, 2017 to an institution of higher education that entitles the donor to receive the right—either directly or indirectly—to purchase tickets for seating at an athletic event at the institution’s athletic stadium. However, if a portion of a payment is for the purchase of such tickets, the part of the payment that is for the tickets and the remainder of the payment should be treated as separate amounts: a portion not tax-deductible and a portion possibly tax-deductible. Exception to Contemporaneous Written Acknowledgement. The TCJA eliminates the exception to a contemporaneous written acknowledgment of a donor’s gift, effective for gifts made after December 31, 2016. Casualty and Theft Loss Deduction. Under the TCJA, the itemized deduction for personal casualty and theft losses is temporarily limited in tax years 2018 through 2025 solely to losses attributable to federally-declared disasters. Miscellaneous Itemized Deductions Subject to 2% of AGI Threshold. Under the TCJA, the miscellaneous itemized deductions subject to the 2% of AGI floor are suspended for expenses incurred after December 31, 2017 through 2025. The TCJA has also suspended the overall limitation on itemized deductions for the same period. Accordingly, itemized deductions are not reduced for higher-income taxpayers. Enhanced Child Tax Credit. The child tax credit (CTC) is a nonrefundable credit that may reduce the taxpayer’s tax for each of the taxpayer’s qualifying children. Since the child tax credit is a nonrefundable tax credit, it is available in full only to taxpayers whose income tax liability is at least as great as the credit. The additional child tax credit (ACTC) is a credit for certain individuals who get less than the full amount of the child tax credit. Unlike the child tax credit, the additional child tax credit is a refundable tax credit. The maximum amount of child tax credit a taxpayer may claim for each qualifying child is increased under the TCJA from $1,000 to $2,000. If a child tax credit is reduced because of the taxpayer’s high MAGI or tax liability that is lower than the credit to which the taxpayer would otherwise be eligible, the additional child tax credit (ACTC) may be payable. The additional child tax credit is a credit for certain individuals who get less than the full amount of the child tax credit. Unlike the child tax credit, the additional child tax credit is a refundable tax credit and is available for up to $1,400.